The Riz family has also 2 vacation flats. 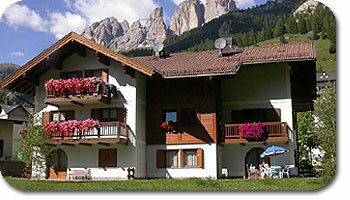 It consists of large living-room, kitchenette, 2 double rooms, bathroom with bathtub and shower, washing machine. 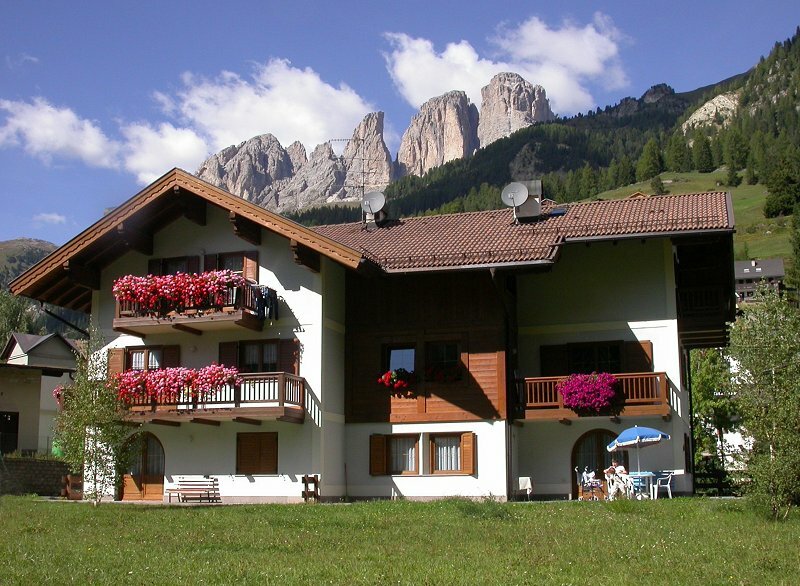 The flats, located near the centre of Campitello di Fassa, lie in a very sunny position at a short distance from the starting station of the Col Rodella cableway and are also equipped with a large garden and a car park.